Oh my gosh!! 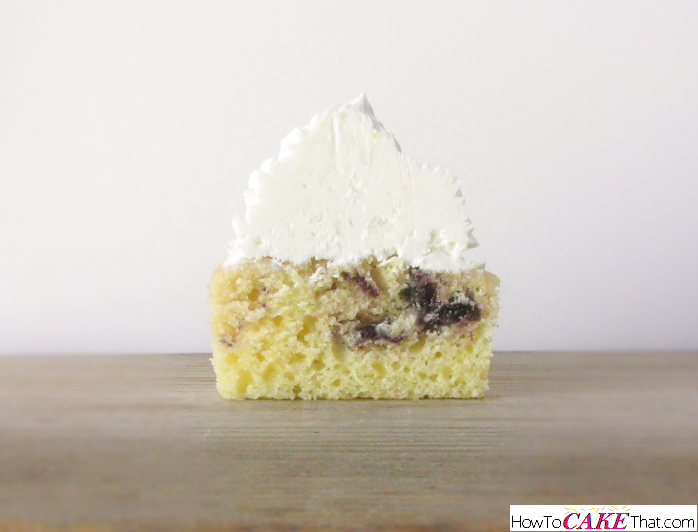 If you love lemon cake, you MUST try Lemon cake with a blueberry marble swirl! It's so very delicious!! The idea for this cake came from a beautiful bride-to-be - a very dear friend of mine - who is getting married next month and wanted to try a flavor that was unique, but would go well with a lovely warm May wedding day. Based off of an idea she sent to me, this is what I developed using the WASC method! And she loved it!! You must try it with the blueberry filling... it completes the cake!! I hope you enjoy!! 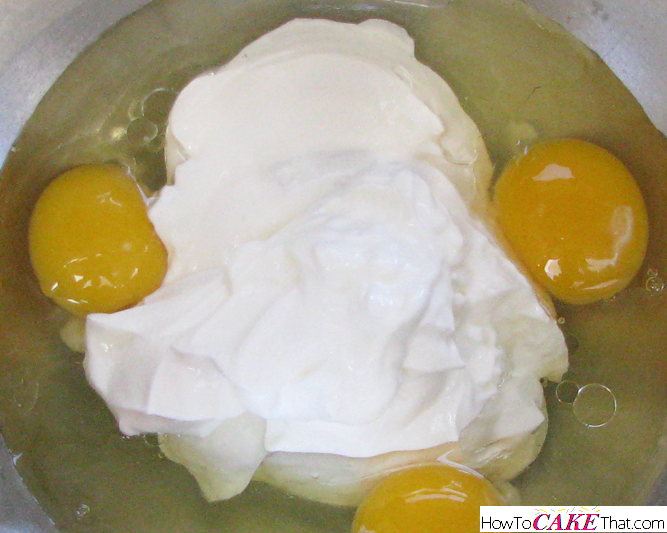 To begin this recipe, pour one box of Duncan Hines Lemon cake into a large mixing bowl. 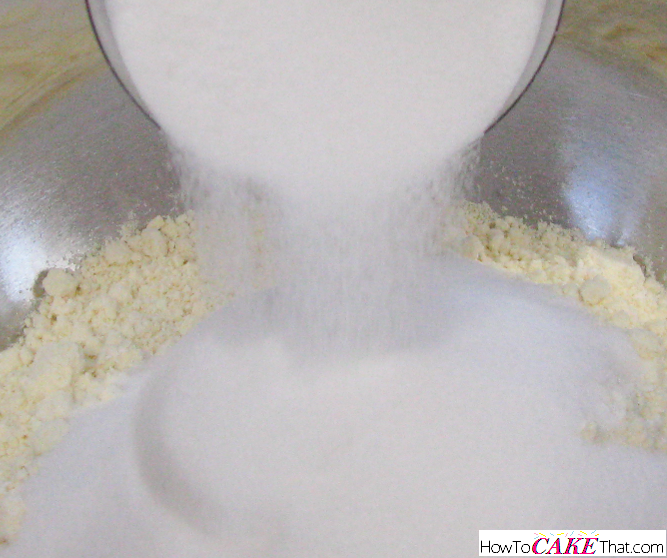 Add 1 cup of granulated sugar. 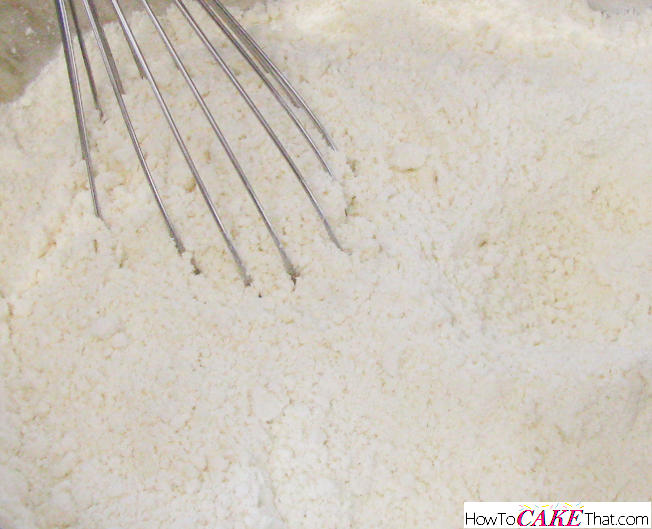 Using a wire whisk, blend dry ingredients together. Be sure to break up any clumps. Set bowl aside. 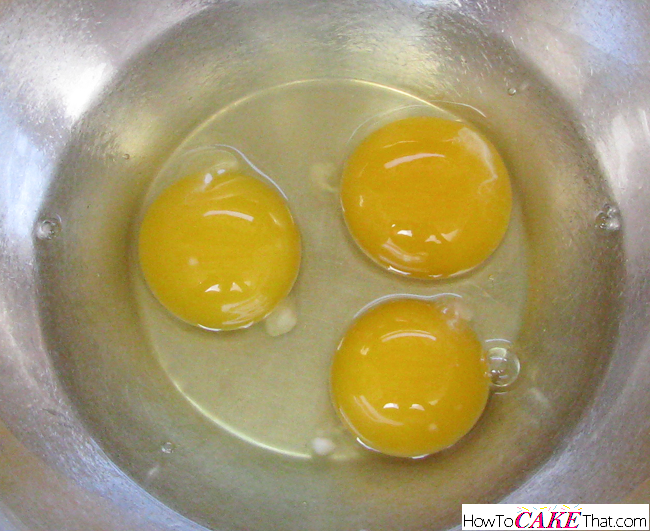 In a small bowl, add 3 whole large eggs. 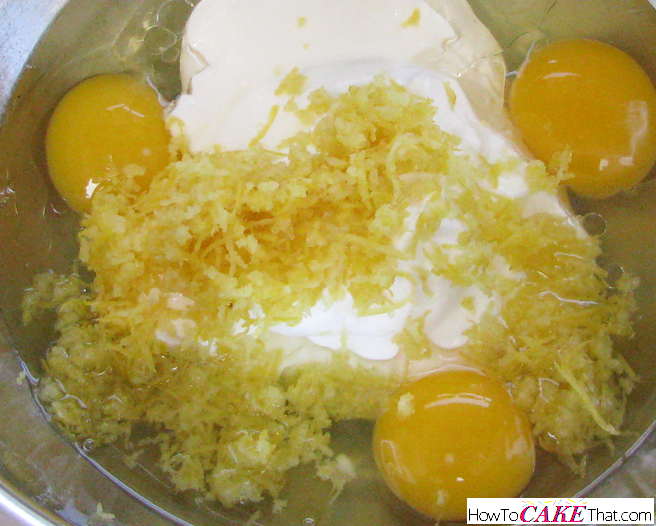 Add the zest of 1 lemon. 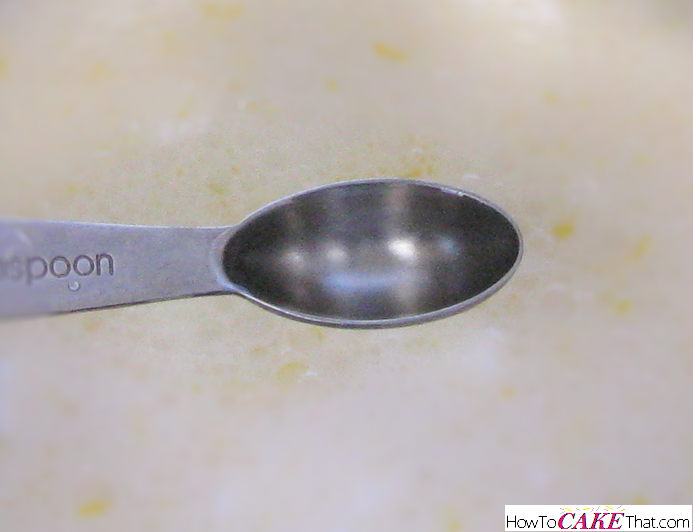 Next, juice the 1 lemon and place juice in a measuring cup (my lemon juice filled a little less than 1/4 cup). 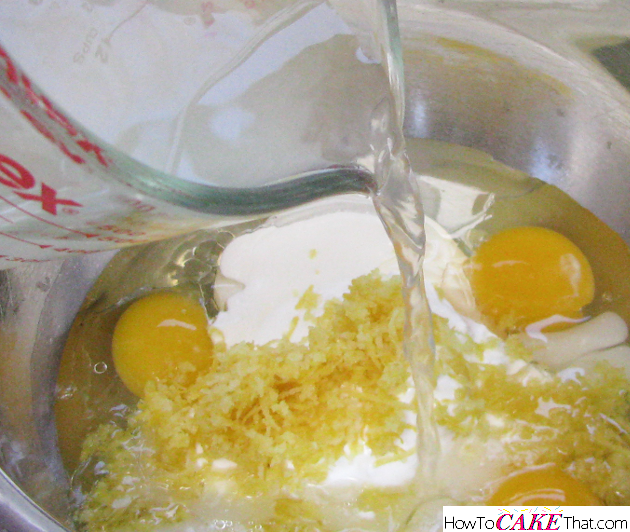 Add enough water to the lemon juice until it reaches 1 1/3 cups of liquid. 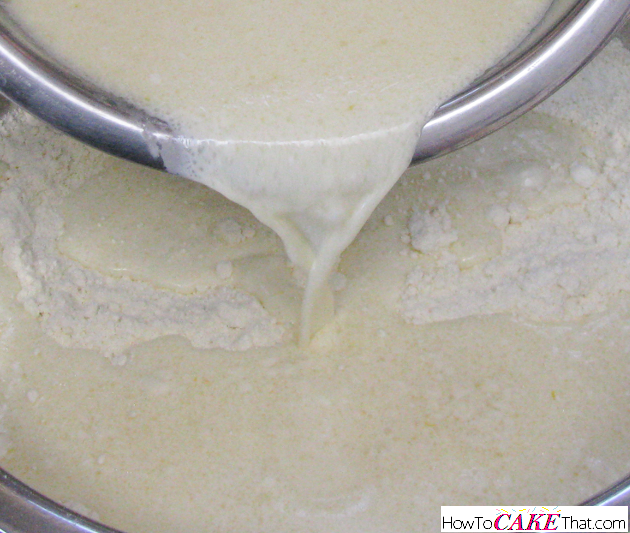 Add liquid to the bowl. 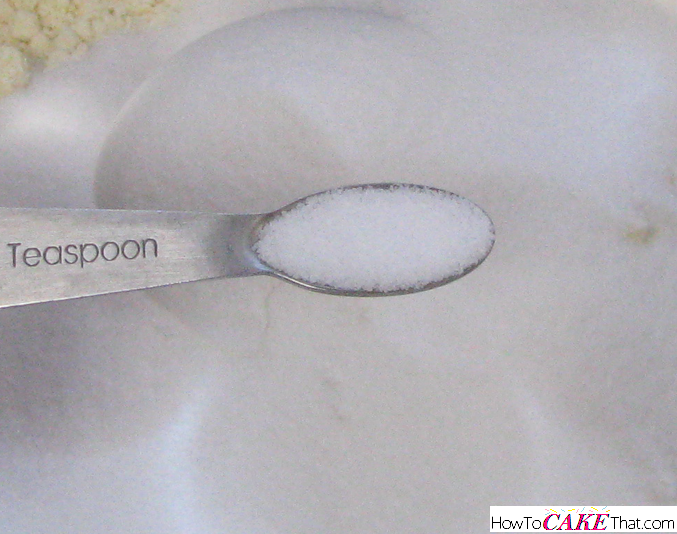 Add 1/2 teaspoon of pure vanilla extract to the bowl. 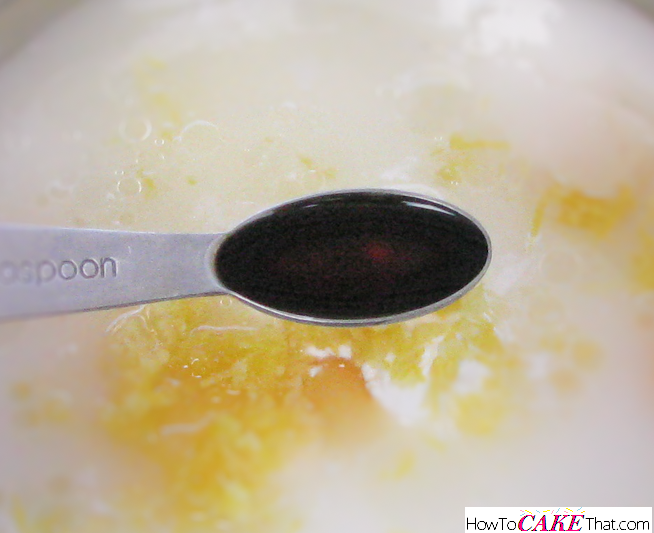 Add 1/2 teaspoon of lemon extract to the bowl. 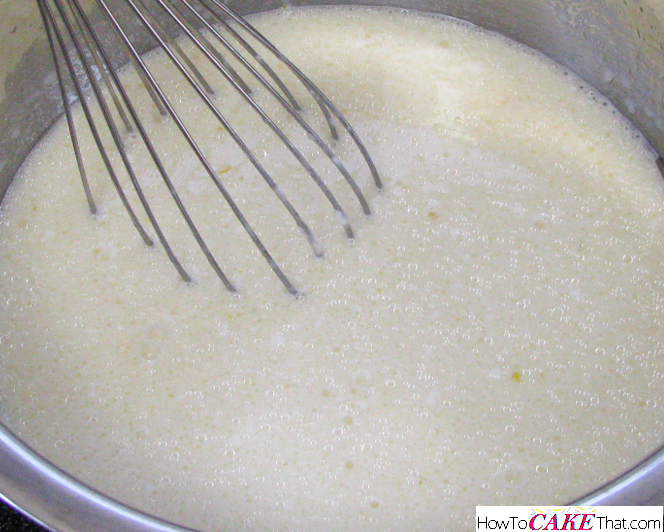 Use a wire whisk to mix the wet ingredients together. 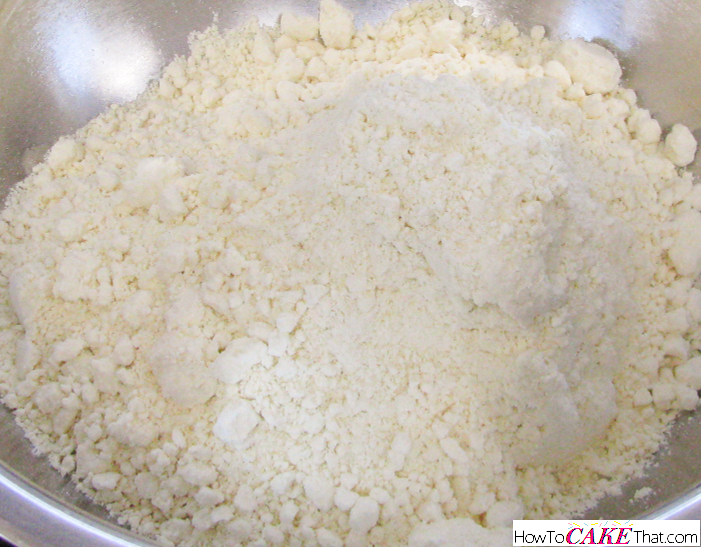 Use an electric mixer to blend the ingredients together until well mixed, about 1 to 1 1/2 minutes. 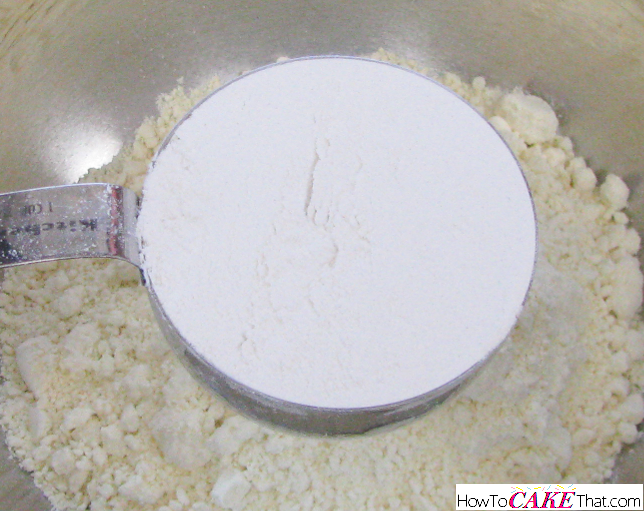 Be careful not to over mix the batter. 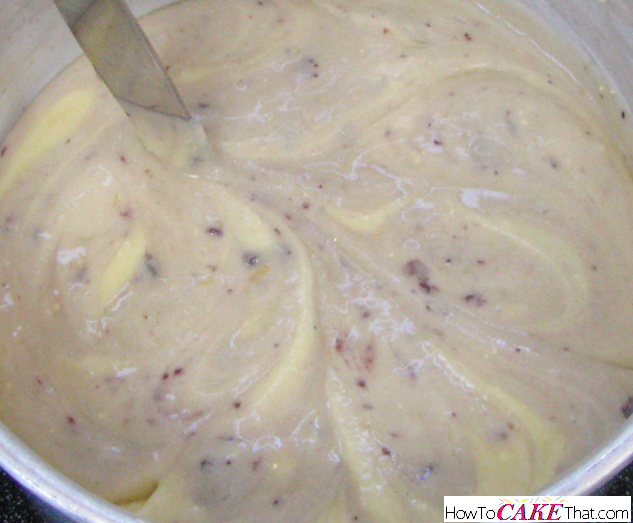 To create the marbled effect, pour a portion of the batter (I did about 1/3 of the batter) into the small mixing bowl. 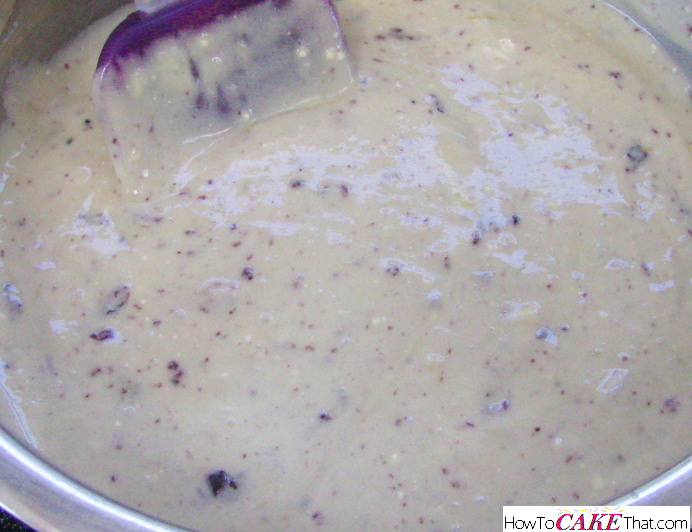 Now it's time to add the blueberry portion to the cake batter. For the blueberry mixture, I am using an 11 ounce jar (311 g.) Braswell's Blueberry Preserve. I added about 1/3 of the jar to the small bowl of cake batter. If you are unable to get a jar of Braswell's, other brands will work just fine. Just be sure the first ingredient listed on the label is "blueberries". 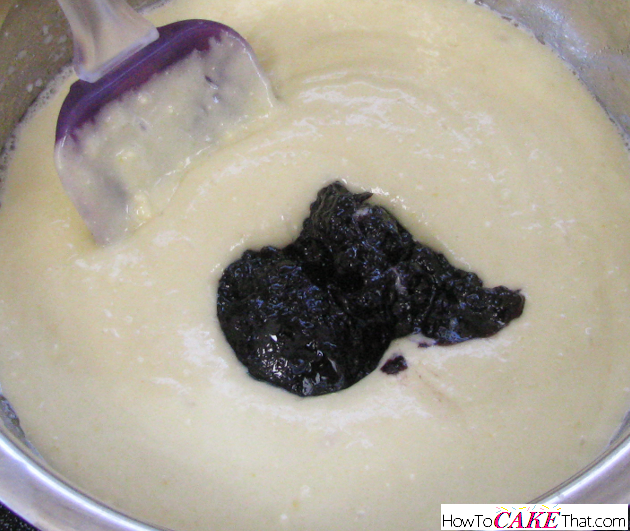 Use a rubber spatula to stir blueberry preserve into the batter until well mixed. 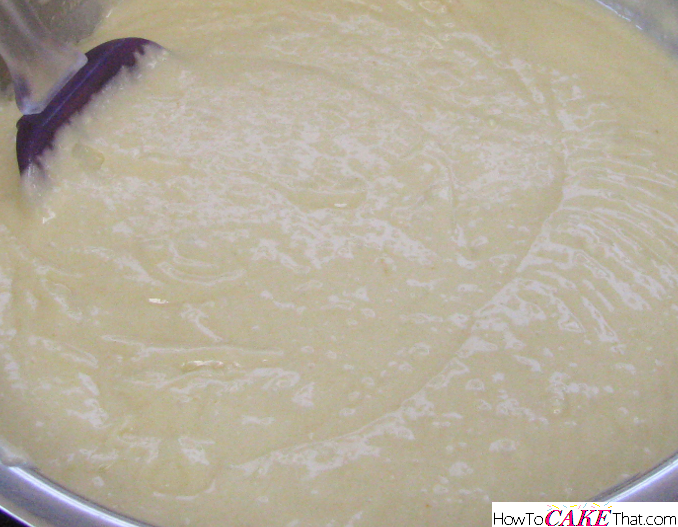 To create the marbled effect in a cake, fill a greased cake pan with lemon cake batter. 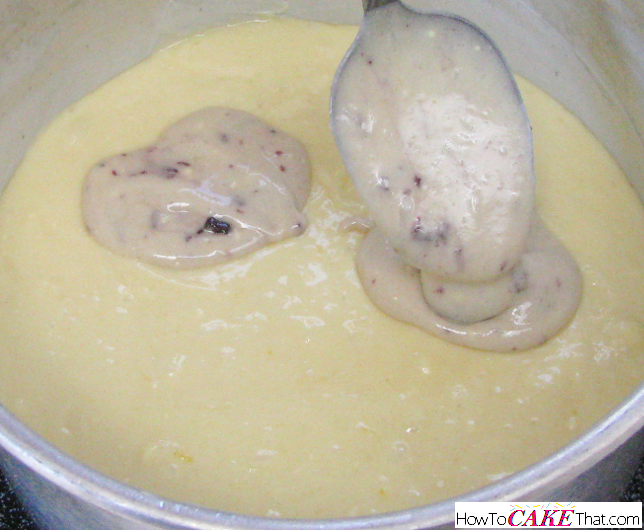 Spoon some of the blueberry preserve mixture batter onto different spots on the lemon batter. 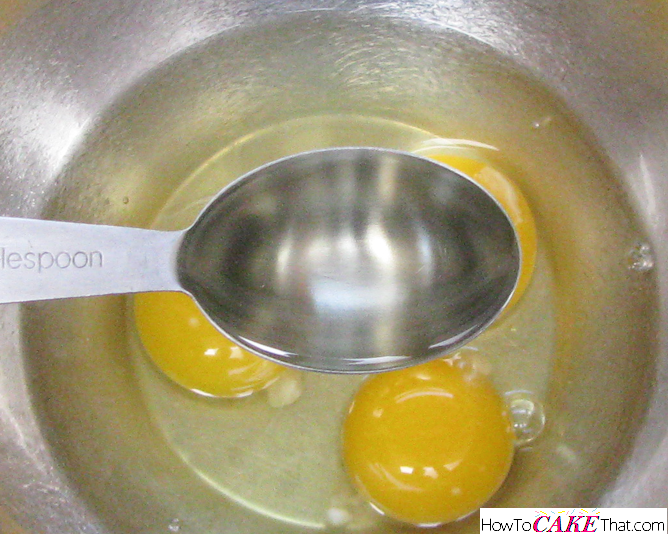 Use a knife to swirl the lemon and blueberry batters together. Be careful not to swirl too much or the batters will just blend together and lose the marbled appearance. 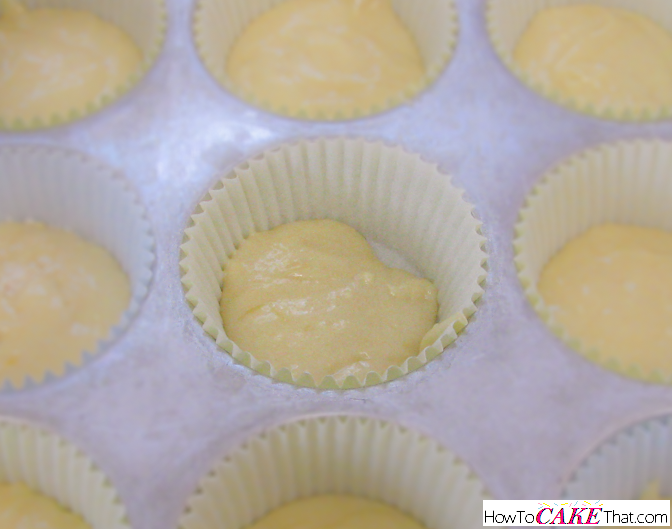 For marbled cupcakes, add a little lemon cake batter to the cupcake liner. 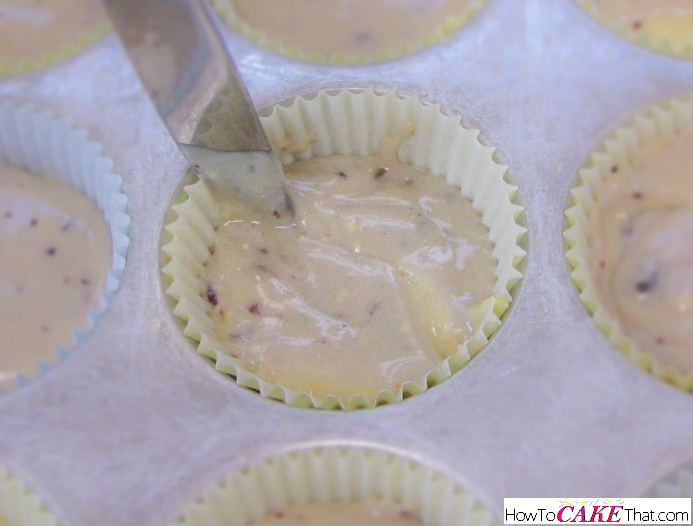 Be sure fill liner less than 3/4 full to leave room for the blueberry mixture portion. 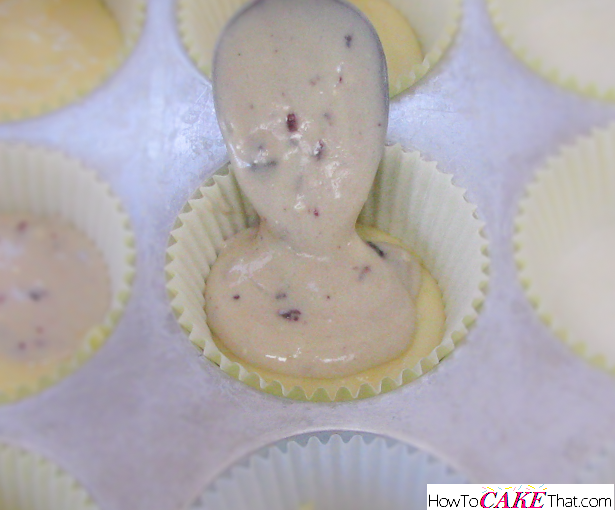 Next, add enough blueberry mixture to fill cupcake liners 3/4 full. 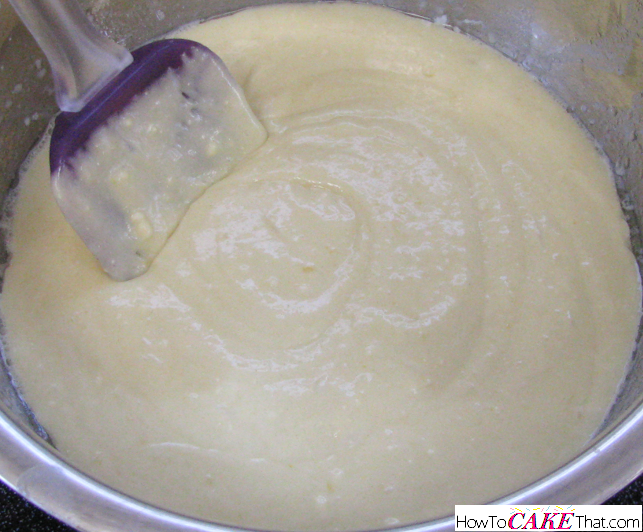 Use a knife to lightly swirl batter... about 1 to 3 passes through the batter should be plenty. 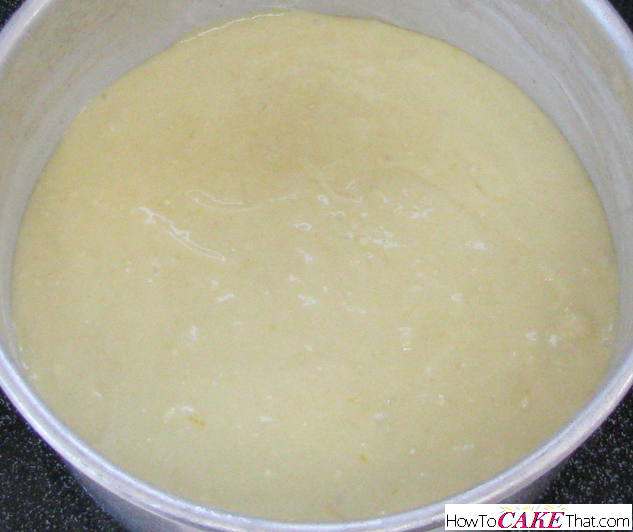 For cakes, bake at 325 degrees F for a more level cake (or 350 F for quicker baking), until done. 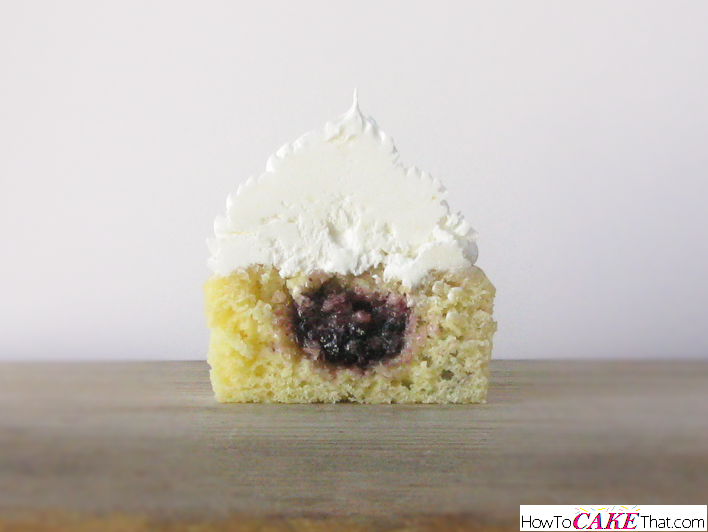 After cakes or cupcakes have cooled, fill with remaining blueberry preserves (you may not need to use all of the leftover preserves), and frost with frosting or buttercream of your choice! !